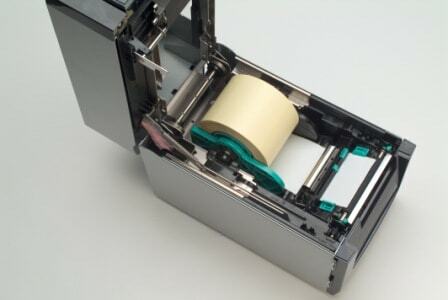 With a footprint close to A4 in size, the front opening, top loading design ensures the B-SA4 is compact, whilst the choice of casing (plastic or metal) guarantees the printer is ergonomic for the office or robust enough for harsh operating environments. 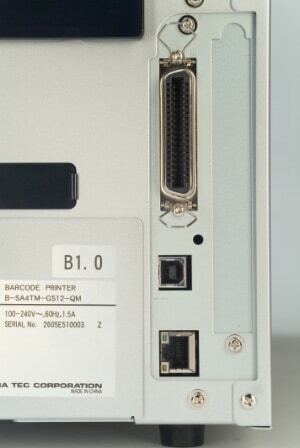 This provides the flexibility to configure the printer to suit most applications, from desktop to industrial. 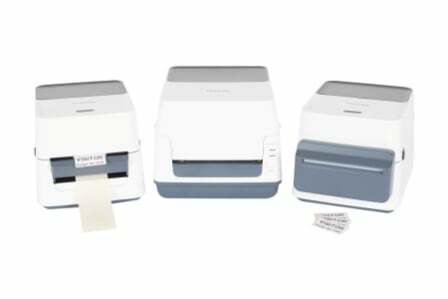 Low Total Cost of Ownership is assured with a combination of high print quality, ease of use and the B-SA4’s plug-and-play compatibility. 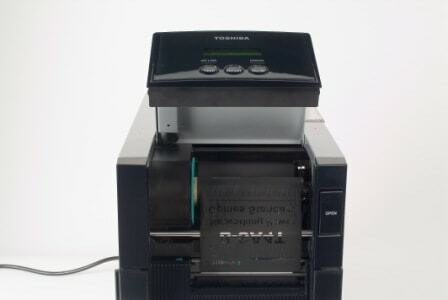 The Toshiba B-SA4 barcode label printer provides the functionality and robustness of an industrial printer with the compact footprint and ease of use of a desktop printer. 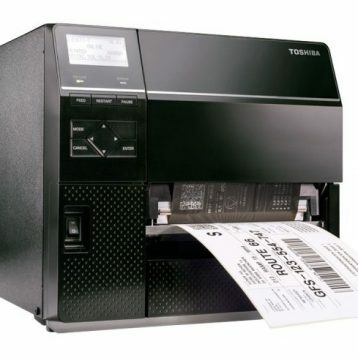 For ultimate networking capabilities, it comes with a wide variety of communication interfaces, enabling you to manage your whole network of printers from a central source. 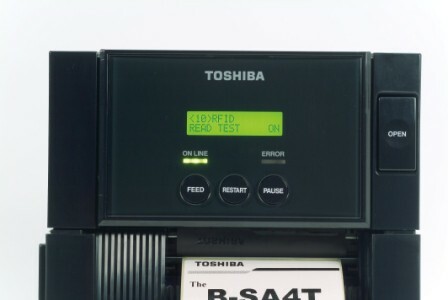 The B-SA4 really is the perfect ‘Total Solution’ for any printing application, with high-quality output, industrial performance, versatile design, advanced functionality. 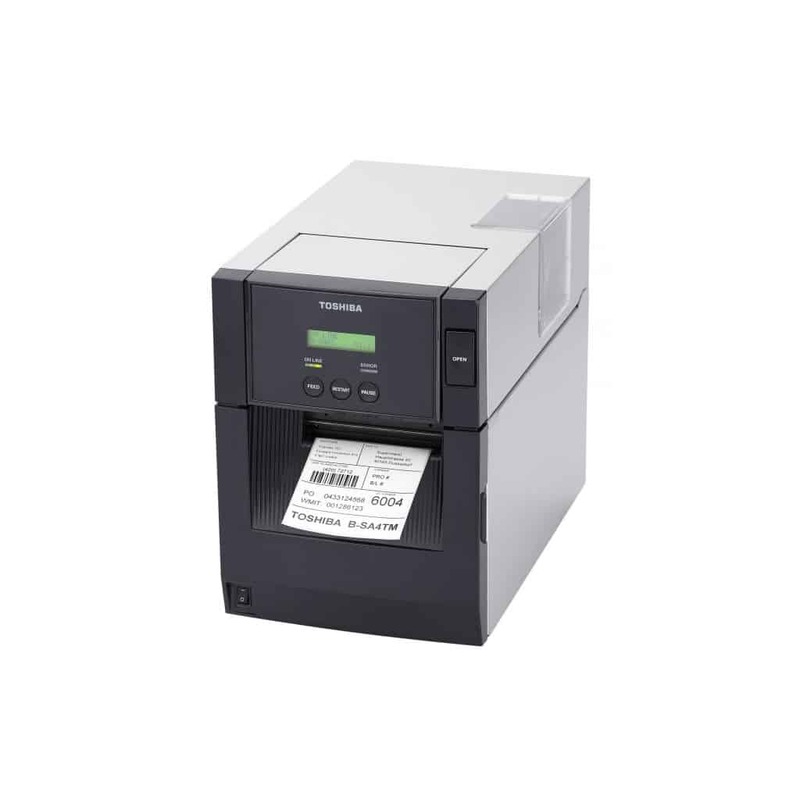 Its ergonomic design makes the B-SA4 the printer of choice for any quiet office situation, whilst the superior quality output and exceptional performance ensure that it fits perfectly with robust industrial environments. 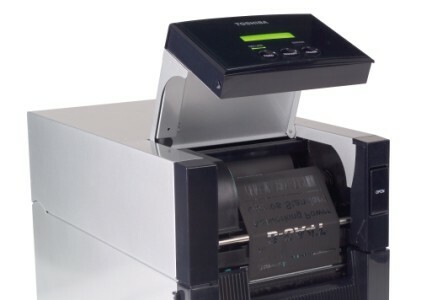 Fitted with a 200 dpi printhead as standard and with the flexibility to easily upgrade to 300 dpi, these machines offer exceptionl print quality, and are unique in the market.